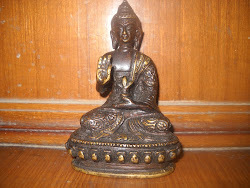 Gautam buddha was born in Lumbini ,presently in Nepal.He was born in royal family to king Suddhodhana,ruler of kapilavastu but He set out for a spiritual journey leaving all the worldly pleasures behind.Inspite of the fact that the father brought him up with luxurious surrounding away from cares and worries of world.Three cruel sites of old age,disease and death convinced him of the futilty of worldly pleasures.He resolved to seek the true knowledge which could end suffering of mankind. At the age of 29 he left behind his home and his family in his quest for salvation and true knowledge.He wandered in search of truth and practiced rigid austerities but nothing could satisfy him.He realised that self mortification was not the means to enlightenment. Taking bath on a full moon day in may He sat down for under a pipal tree and said"let my bones wither let my flesh and blood dry up let my skin parch.I will not stir from this place until i attain the true light. "He sat there for days till he attained enlightenment.He received the enlightenment in Bodhgaya,India under a boddhi tree.His teaching are still relevant and are guiding light to us.Thereafter he was named as Buddha or the Enlightened one. 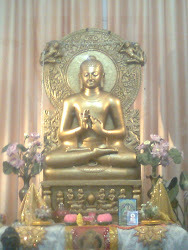 Gautam Buddha was a immensely great personality who taught us the right way to live life freely,without worries and peacefully.His teachings are free from superstitions and rituals.It is all the more amazing how he could shower his love on all and made their life free from worries.His theory of Middle way is relevant more in today's world than yesterday.He personally reviewed the theory of life and came up with answers in form of 8 rightful ways to lead life. 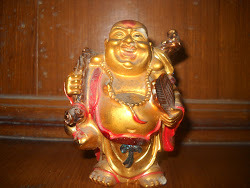 In order to spread the light he had received ,he set out on journey across India.His first discourse was delivered at sarnatha near Banares.He delivered his first speech to five monks ,who were his associate when He set out for quest.namelyKoundinya,Bhadriya,Vappa,Mahanama and Asvajit.This is known as 'setting of the wheel of law into motion'. He travelled wide across the subcontinent teaching fellowmen the way of life.He made number of converts to a new faith and were gradually organised into communities known assangha. He travelled continually on foot ,teaching and preaching anywhere He went.He went back to Kapilavastu,where he met his father,wife and his son Rahula.His son and the royal barber joined him in his Sangha.Buddha attained Mahaparinirvana at the age of eighty at kusinara,Uttarpradesh. Hey nice! Very good! Great!